Pursuing a deeper understanding of sustainability challenges and solutions. The Sustainability Council envisions the University of Louisville as a living laboratory of sustainability. This means that faculty and students from all disciplines have the opportunity to study the environmental, social and economic challenges to sustainability that exist right here on campus and in our community...and to research solutions that make sense here. For an overview of who is involved in our sustainability research efforts, explore the UofL Sustainability Research Inventory 2012-2015. All UofL faculty, staff, and graduate students engaged in research related to sustainability are encouraged to join us for an on-going series of Sustainability Roundtables. More info and profiles of UofL Sustainability Scholars here. We gather throughout the academic year to share research interests, goals, and projects; hear from external renowned scholars; have roundtable discussions about sustainability research; and discuss specific sustainability topics of common interest. Our focus at the start has been on "resilience" -- what is it? how do we understand, measure, analyze, and consider it? how is it similar to or different from sustainability? how can concepts of resilience aid sustainability? etc. Other topics will be developed for the future. Improve & increase sustainability-related research at UofL. This is a project of the Sustainability Council's Education & Research Committee. For more info, contact Daniel DeCaro. Faculty and students interested in researching sustainability are encouraged to apply for UofL's Internal Research Grants. Cooperative Consortium for Transdisciplinary Social Justice Research: As part of the University of the 21st Century Initiative, UofL allocated $250,000 per year for three years (2017-2019) to support this new Consortium to fund the creation or expansion of transdisciplinary social justice research teams, projects, creative activities, and community-engaged scholarship for faculty and students at UofL. Each year, beginning in February 2017, the Consortium awards up to 27 Faculty Research Fellowships, and at least one PhD-level Graduate Student Research Assistantship for the calendar year. The Consortium also assigns 8 graduate and professional Graduate Fellowships to transdisciplinary research teams, and assigns a minimum of 7 Undergraduate Research Fellowships to advance social justice transdisciplinary research (TDR) activities. Social justice TDR stretches past traditional academic multi-disciplinarity or inter-professionalism to foster collaborations across disciplines, colleges, and beyond academia to develop humanistically-infused processes for identifying new solutions to complex, intransigent social problems. d. Social Justice in West Louisville. 1. Faculty Workload Fellowships: Provides a course or clinical replacement for one semester at a PTL/adjunct level to support new research and/or research project completion. Up to 13 available annually. 2. Mini-Grant Faculty Fellowships: Provides a research grant for transdisciplinary group project proposals in an amount up to $2,500 to support new research and/or research project completion. Up to 8 mini-grant faculty fellowships awarded annually. 3. Grant Fellowships: Provides a research grant for transdisciplinary group project proposals in an amount up to $7,500 to support new research and/or research project completion. Up to 9 large grant faculty fellowships awarded annually. 4. Grants and mini-grants are available according to the following schedule: Up to 7 one-year grants, non-renewable; up to 10 renewable grants (assuming iRFP funding is renewed), both 2-year and 3-year. View the call for proposals. Proposals should be submitted electronically each January to transdisciplinary@louisville.edu. For more information, contact co-PI’s Prof. Enid Trucios-Haynes at ethaynes@louisville.edu or Prof. Cate Fosl at cfosl@louisville.edu. 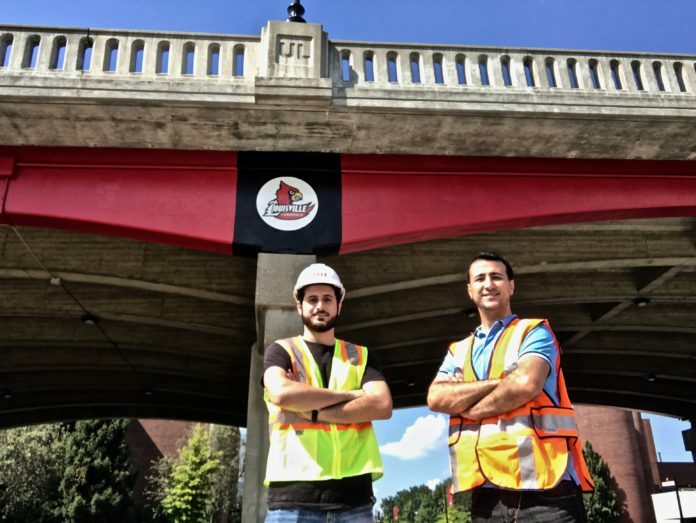 The Office of Community Engagement Faculty Grants Program fosters UofL faculty and staff projects within the west Louisville community and Jefferson County. This is a great opportunity for those interested in weaving community-based sustainability issues into courses and research! The grant focuses on infrastructure development, research and non-research projects which hold a community participatory action perspective.Full details and grant application here. The Anne Braden Institute for Social Justice Research Faculty Research Fund helps sponsor, stimulate and disseminate research relevant to the Louisville community and the U.S. South on social movements, citizen participation, and public policy reforms around racial and social justice. Proposals that engage one or more social justice topics (historical or contemporary) such as race, class, gender, sexuality, religion, ethnicity, environmentalism, disability, and/or age will be given preference. Any faculty member in the College of Arts & Sciences is eligible to apply for a grant of up to $1,000 during a period not to exceed 12 months (this includes term and part-time faculty). Proposals that represent faculty/community or faculty/student collaborations are especially encouraged. Students can also seek funding through the Anne Braden Institute's Social Justice Research Awards. Graduate and undergraduate students from any discipline are asked to engage one or more social justice topics, with a preference given to papers engaging race, class, gender, sexuality, religion, ethnicity, environmentalism, disability, and/or age. The best two undergraduate applications receive $100 each, while the best graduate application receives $300. The Summer Research Opportunity Program provides UofL undergraduate students (preferably juniors or sophomores) who would like to know more about graduate-level education at the university, with a 10-week research-intensive experience in a department that offers graduate degrees. Mentors will provide students with individualized research projects. All UofL departments with graduate programs will be supported. Students will receive a stipend of $3,500 for the 10 weeks and the mentor is eligible for up to $500 to support the student's research and costs for production of the poster that is required. The Ali Scholars Program, offered by the Muhammad Ali Institute for Peace and Justice to full-time undergraduate UofL students, is a unique 2-year experience combining training, research and service in the areas of violence prevention and peace building in an urban living context. A special emphasis is placed on understanding and addressing the social conditions that impact those issues. Scholars will receive a $500 scholarship each semester, for a total program scholarship of $2,000. Conn Center Fellows: Want to be involved in advances in renewable energy? The Leigh Ann Conn Fellows Program is for grads & undergrads planning to conduct energy-related research. Areas include Solar Decathlon, Solar Manufacturing R&D, Biofuels/Biomass R&D, and Materials Discovery/Manufacturing. Full info and application details here. UofL faculty and students are encouraged to apply for grants through theU.S. Environmental Protection Agency's People, Prosperity and the Planet (P3) program: The EPA offers annual research grants to U.S. colleges and universities to engage students in projects to solve our world's most serious environmental challenges. Through its P3 program, students working on teams design sustainability solutions and compete for more funding to take their ideas from the lab to the real world. EPA's P3 program fosters team-based learning, interdisciplinary effort and class-to-real-world experience. The Kentucky Renewable Energy Consortium (KREC), administered by the Kentucky Pollution Prevention Center (KPPC) at UofL's J.B. Speed School of Engineering, encouraged faculty research through the Competitive Grants Program. KREC advanced and funded innovative research on renewable energy and energy efficiency that focuses on developing resource-responsible technologies and practices for the energy sector. A total of $864,000 was awarded to seven recipients in the latest round of grants. Renewable energy pilot projects (biofuels, solar, wind, geothermal, hydro) - design, siting, monitoring, etc. Sustainable Landscapes: Organic campus food gardens & orchards, landscape management, native landscaping, campus trees, wildlife habitat, ecological services, etc. Campus Farmers Markets - Sustaining markets, engaging customers, supporting vendors, reaching the under-served, etc. Model Green Room designs, monitoring, user-studies, educational tools, etc. Learn more and see examples on our Campus As A Living Lab webpage. UofL researchers generate sustainability-related innovations which could have a wide variety of applications in the commercial and public sector. Our Office of Technology Transfer facilitates the commercialization of these innovations and supports University research by tailoring collaborative arrangements to fit particular commercialization and research needs. The Office promotes education, research, knowledge dissemination, innovation and entrepreneurship.